John Higgins, Ronnie O’Sullivan, Mark Selby and Mark Williams are already out of the UK Championship and more shocks can follow in the quarter finals, most namely with Ricky Walden beating Shaun Murphy. Both players enter the quarter final on the back of victories against former multi-time UK Championship victors, with Trump edging through a final-frame decider with O’Sullivan and Maguire ousting defending champion Higgins. Maguire was arguably the more convincing in his victory, knocking in a tournament-high break of 144 as he romped into an early lead that could not be pegged back. The Scot has also triumphed in both of his previous meetings with Trump and can lure an aggressive Trump into mistakes with his impressive safety game. Robertson has already beaten Ding before at the UK Championship back in 2005 and a repeat of this victory by the odd frame can be expected again in York at 6/1. The Australian was one of the form players on the circuit heading into the tournament and has done little wrong in reaching the quarter finals, comfortably beating Tom Ford and Graeme Dott. Murphy was not at his best in a error-prone clash with Martin Gould and will struggle to progress again if repeating this display against a confident Walden. 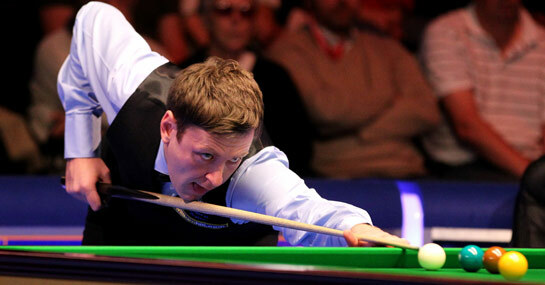 A victory over Williams will inspire Walden and he can collect a first ever victory over Murphy at the third attempt. Fu may have beaten world number one Selby in the second round, but he did not score particularly highly in the success. Meanwhile, Allen was far more clinical in defeating Ali Carter and despite his off-table problems for voicing his opinions, he can do his talking on the table against Fu.